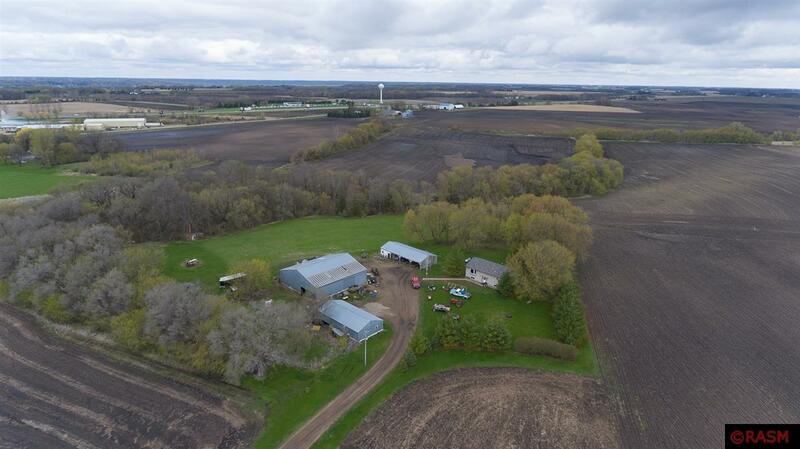 Just over 14 acres, conveniently located moments from Hwy 169, and straight off the tar is a gorgeous acreage privately tucked away waiting for a country dreamer. The property offers several outbuildings, including one heated building, fences and pasture, a heavy woodland, streams and ravines, tillable land, and about 4 acres of open yard. The 3 bedroom home offers steel siding, a new roof and windows. The unfinished lower level awaits your finishing touch with space for another 2 bedrooms and plumbed for a bathroom, and optional lower level laundry room. Septic and Well about 10 years old.